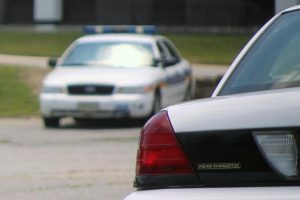 Citizens have certain constitutional rights when it comes to interactions with police and other law enforcement agencies. Those rights do not disappear the moment they get behind the wheel of a car. Still, it is true that motorists don’t necessarily have free reign in police interactions. For example, there is implied consent, which per F.S. 316.1932 allows police to compel drivers to submit to breath alcohol testing upon reasonable suspicion of intoxication. A refusal results in an automatic, year-long driver’s license suspension. Police have the right to temporarily stop drivers in sobriety checkpoints, so long as these operations follow certain legal protocols, such as ensuring vehicles are stopped purely at random. Recently, the U.S. Court of Appeals for the 5th Circuit, which covers Texas, Louisiana and Mississippi, considered a case that raised the question of whether police can retaliate against a citizen for refusing to answer police questions. This is a civil case, as opposed to a criminal one, but it deals with important matters pertinent to those in a traffic stop. According to court records, plaintiff was pulled over and declined to answer police questions. According to his complaint (and the court assumes these facts to be true at this stage, though they could later be proven incorrect), the sergeant at that point retaliated against this refusal to answer questions by ordering plaintiff out of the vehicle and then putting him face down on the ground. From there, several other officers joined in, piling on top of him, mashing his neck and face into the concrete with their boots and knees. Police then handcuffed plaintiff and asked, “Are you ready to talk to me now?” Plaintiff allegedly responded with an expletive, which prompted police to shackle his legs. Then, police arrested him on a charge of obstructing a police officer. As our Fort Lauderdale criminal defense attorneys can explain, there is no law requiring a person to talk to police. At every phase of an encounter, a person can decline to talk to police. That does not mean police won’t make an arrest, but typically the fewer questions you answer the less evidence you provide police and prosecutors. Plaintiff later filed a civil lawsuit, alleging violations of his First, Fourth, Fifth and Fourteenth Amendment rights. Trial court granted summary judgment to defendants, police and city, but the 5th Circuit affirmed and part and reversed in part. The panel found the officers were not entitled to qualified immunity for violation of his Fourth Amendment rights (unlawful arrest and unlawful detention) and that plaintiff adequately stated a claim for excessive force. What the court held in this case was that plaintiff’s 5th Amendment claim wasn’t violated because the Fifth Amendment protects against an officer coercing a statement that is later used in trial when in this case, plaintiff was not tried. Further, the court said there is no First Amendment protection against government-compelled speech in the context of an interview with police. So if you are coerced into making a statement, and can prove the statement was coerced, a defense lawyer can seek to have that statement suppressed. However as a Washington Post analysis by Research Professor Orin Kerr at The George Washington University Law School posits that while plaintiff properly invoked his Fifth Amendment right to stay silent, he was punished for it. Kerr found concluded that “there are difficult issues lurking in the court’s Fifth Amendment ruling” that weren’t fleshed out in the short opinion issued. Although this ruling doesn’t directly impact Floridians, who are under the umbrella of the Eleventh Circuit Court of Appeals, it is instructive to pay mind to such rulings, as sister courts often rely on one another when facing similar and unresolved circumstances.